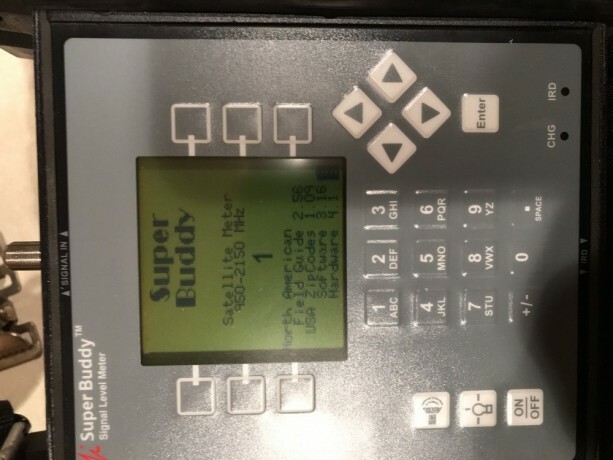 SUPER BUDDY Satellite meter is Used in very good condition with a newly installed battery, new barrels and all updated software. See complete details on manufacturer website. 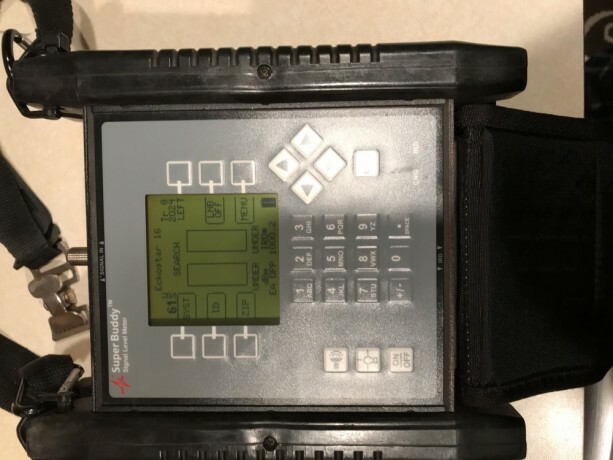 What you see in the pictures is what you get, quick start guide, 120v power cord, 12v car charger and data cable for updates. 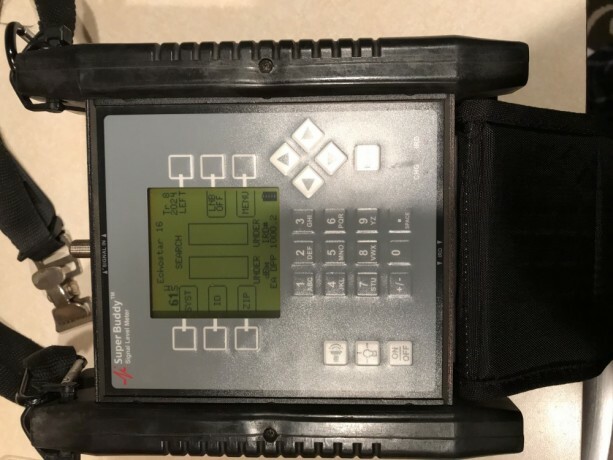 Operational Manual and optional accessories and so much more are available from the manufacturer website here in the good ole USA . Easy and fast for setting up and pointing your dish while rv'ing. Be "sure of your bird" with the positive ID feature or use the automatic scan to identify the unknown satellite. Tired of loading new satellite plans? Super Buddy's geo sensitive field guide shows you just the birds visible to your install ALL of them, and their individual transponders. In addition to positively identifying the satellite, displayed measurements include signal level dBm , quality IRD or C/N , voltage supplied by the receiver, current drawn by LNB, and L.O. frequency drift of the LNB. Super Buddy is compatible with single and multi LNB configurations. Navigate easily from bird to bird with left/right arrows and through the individual transponders with up/down arrows. It's the BEST and the FASTEST! Don't know the angles for your antenna? The zip code lookup gives you elevation and azimuth for whichever satellite you select. Satellite delivery is becoming more complex, but the SUPER BUDDY makes it easier! Handle the toughest jobs better, faster and cheaper . 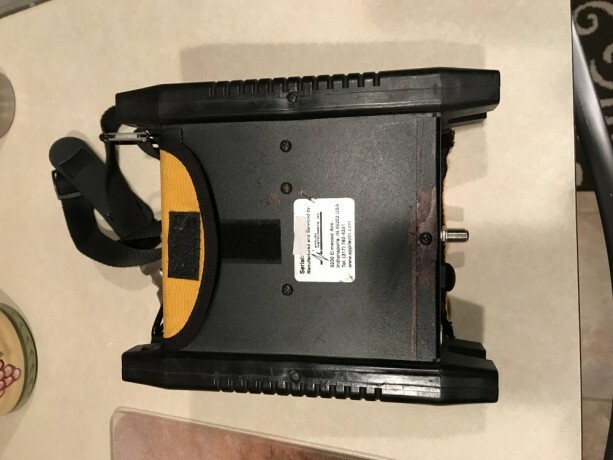 Cash only, local pickup only or will meet if close. Quick and easy for pointing your dish while traveling around in your RV.